When you are arrested for any crime, it is essential to hire an expert Maryland criminal defense lawyer. They can help gather evidence in this type of case and, in many situations, have the consequences you are facing reduced significantly. However, it is also essential to know your rights and when they are violated. Part of this is knowing some of the common mistakes police offers make while DUI arrest. If these mistakes are made, a quality defense attorney may be able to have your case thrown out altogether. Any arrest needs to have probable cause. This is what gives the police the right to search you or your property and to question you. If you can prove the officer had no probable cause, then your case may be thrown out. If you resist arrest, then the officer has the right to use force. However, there are limitations in place regarding just how physical an officer can be. If they violate these laws, then they may face consequences. Verbal misconduct is another issue that may occur. If the officer calls you names or displays any type of unprofessional behavior, you can use this in the courtroom. However, you have to prove this misconduct occurred. If you are arrested and interrogated, but the Miranda Rights are not read, then everything that you say is unable to be used in court. If this happens, make sure you let your criminal law attorney know about the situation. This can help your case immensely. An extremely common mistake officers make is to arrest a person and then ignore the case until they have to go to court. It is important that both the defendant and prosecutor are fully prepared. If an officer is not prepared, they may lack clarity and professionalism in the case. If the person who arrested you is unable to accurately describe what happened, then there is no way to tell whether or not they are telling the truth. 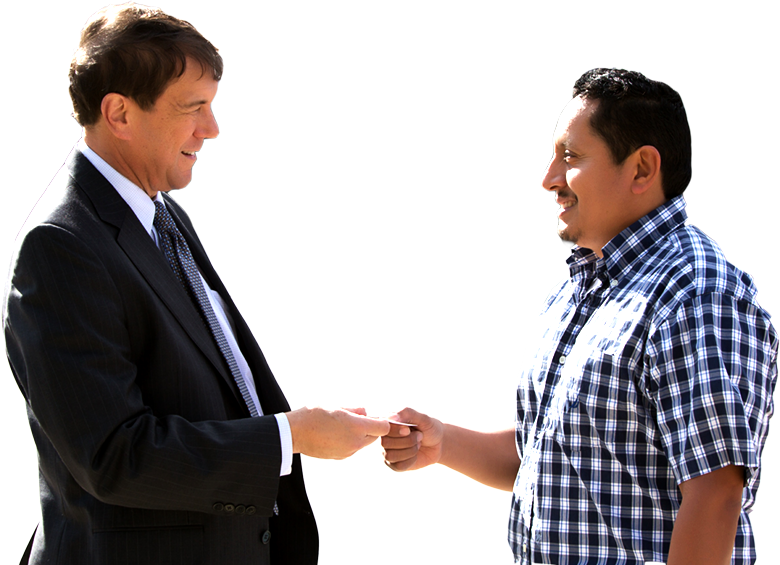 A quality criminal defense attorney can use this to help your case. During any type of criminal case, especially DWI or DUI cases, police officers have to follow certain protocol. If the protocol is broken, then all evidence that is gathered up to that stage may be irrelevant. The mishandling of evidence is one of the most common issues associated with small criminal charges. If you are arrested for any crime, hiring a quality attorney is a must. They can help ensure that your case is represented well and that if misconduct occurred, it is indicated in the courtroom. 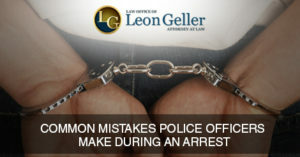 To learn more, contact the Law Office of Leon A. Geller. Find out: Can the Police Search your House Without a Warrant? Next post: Do You Know Your Rights When Pulled Over for a DUI?